Volunteer Providers, Pharmacists/Pharmacy Techs, and Respiratory Therapists are needed to help kids at Camp Korey have the time of their lives! 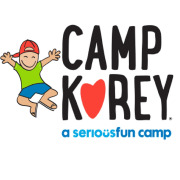 Camp Korey is a nonprofit camp that serves kids with life-altering medical conditions, and we are looking for volunteer week-long medical professionals to help us give our campers the camp experience of a lifetime! Volunteer Providers(week-long) collaborate with nurses, cabin counselors, and the leadership team to provide medical oversight and ensure that campers are provided with the highest quality care while camp is in session. Volunteer Pharmacists/Pharmacy Techs (one day only) collaborate with nurses to prepare medications for campers on arrival day at camp, generally each Monday during our summer sessions. Volunteer Respiratory Therapists (week-long) provide care for 1-2 campers with tracheostomies, and are needed for our craniofacial and skeletal dysplasia sessions as listed below. For more information about volunteer opportunities, please visit our website at campkorey.org/volunteer.